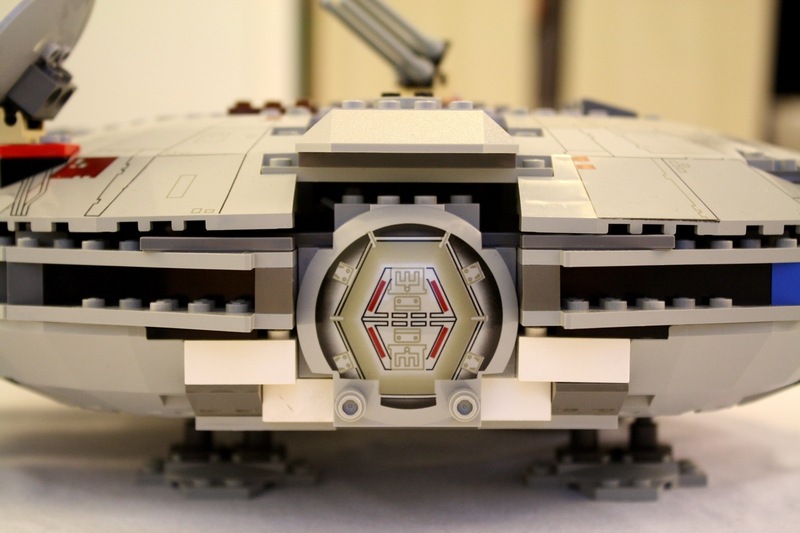 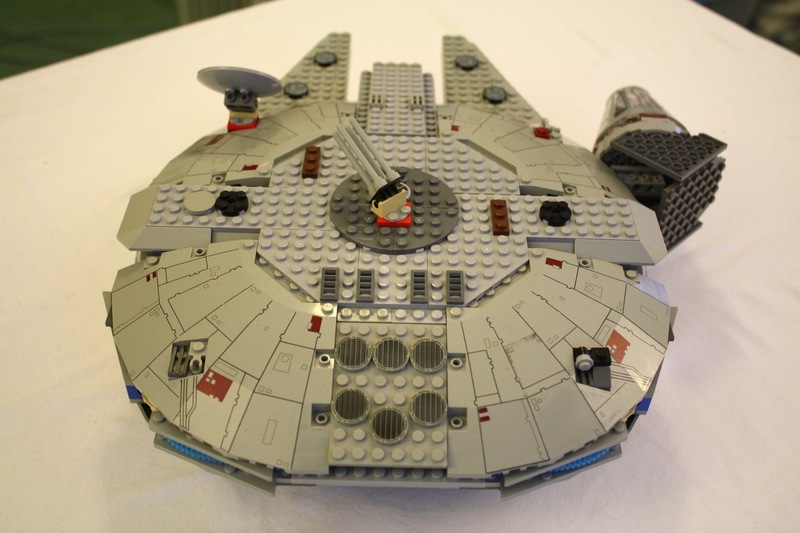 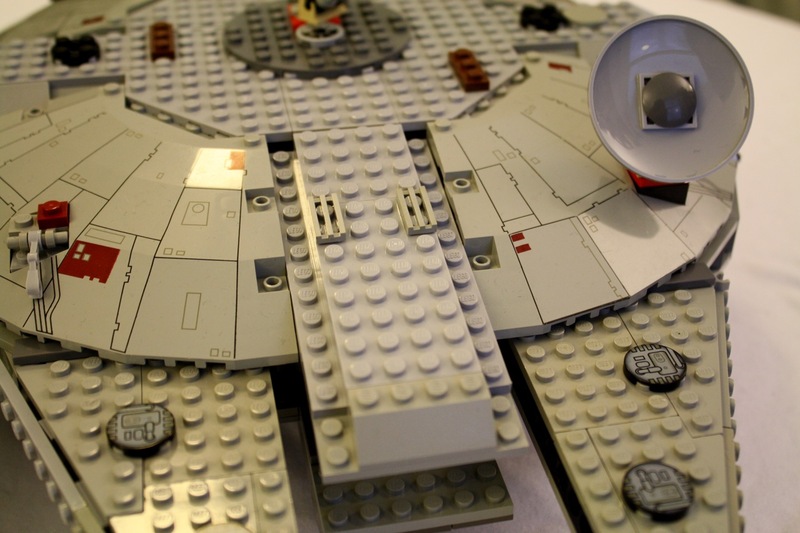 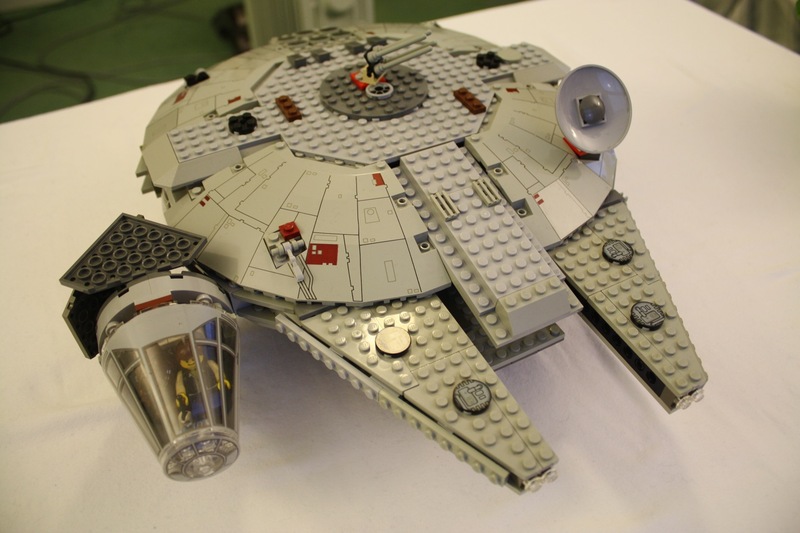 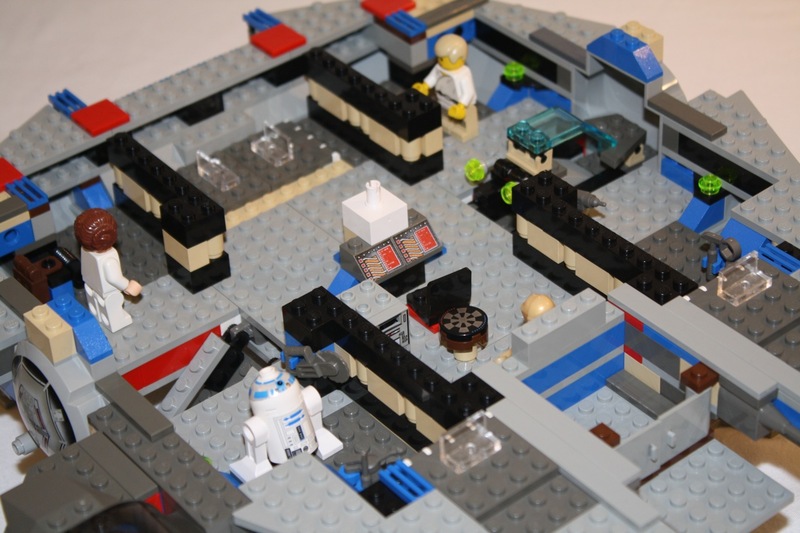 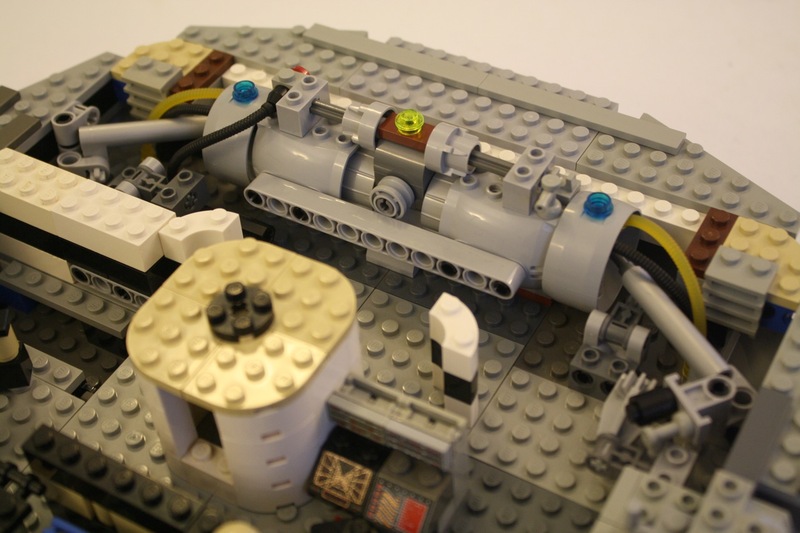 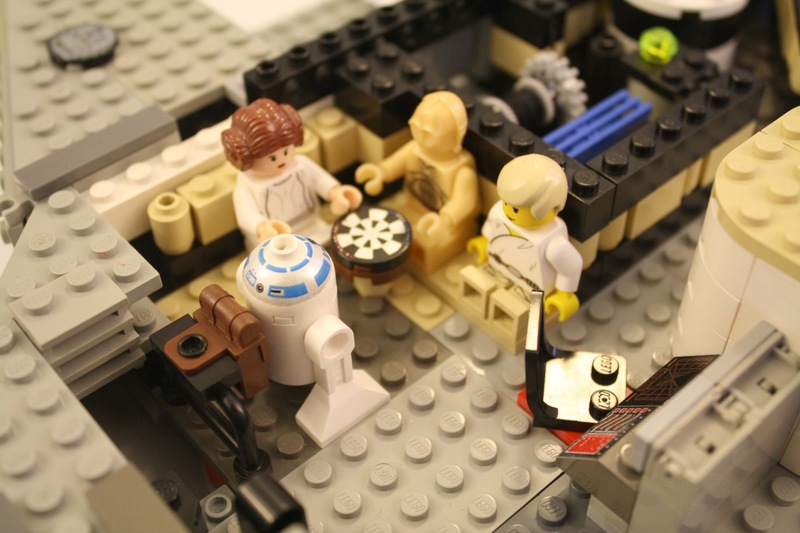 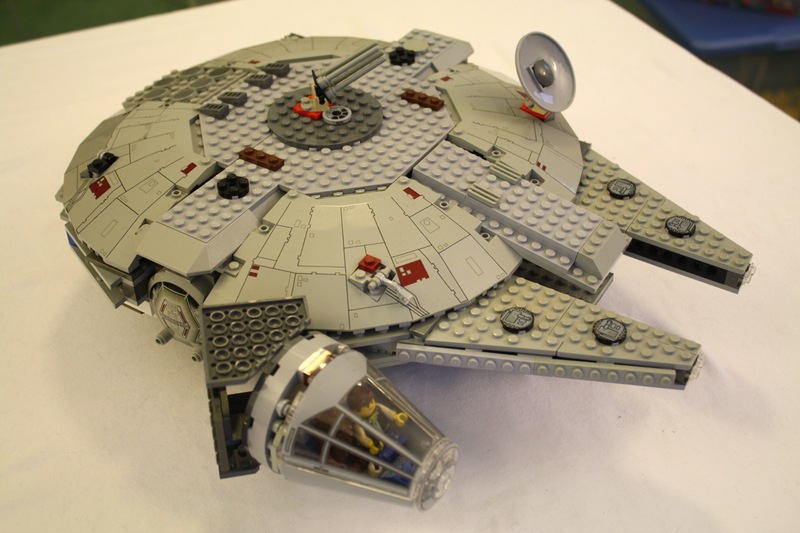 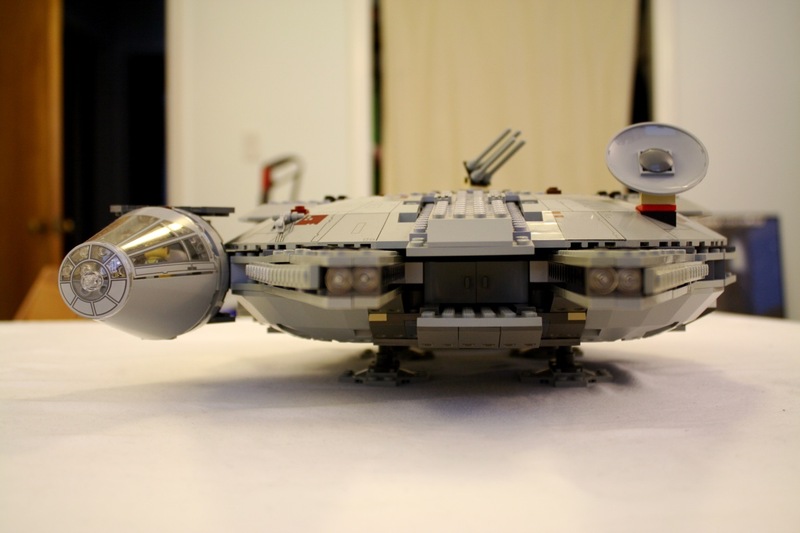 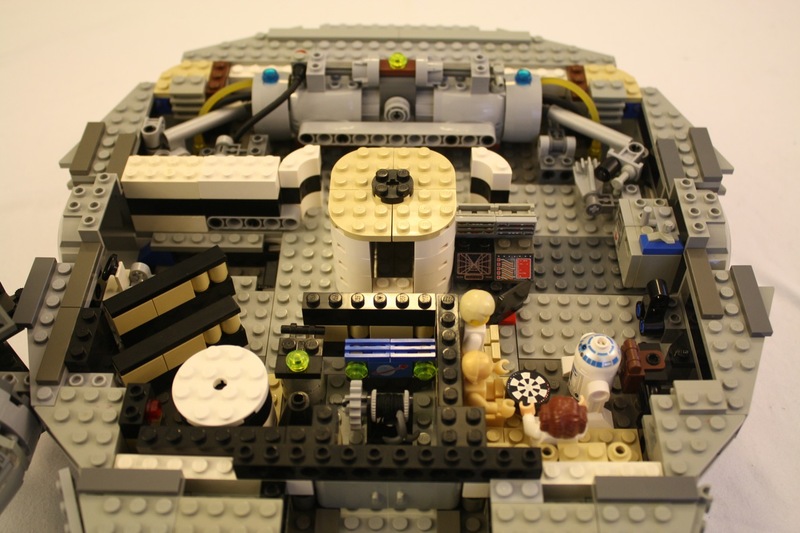 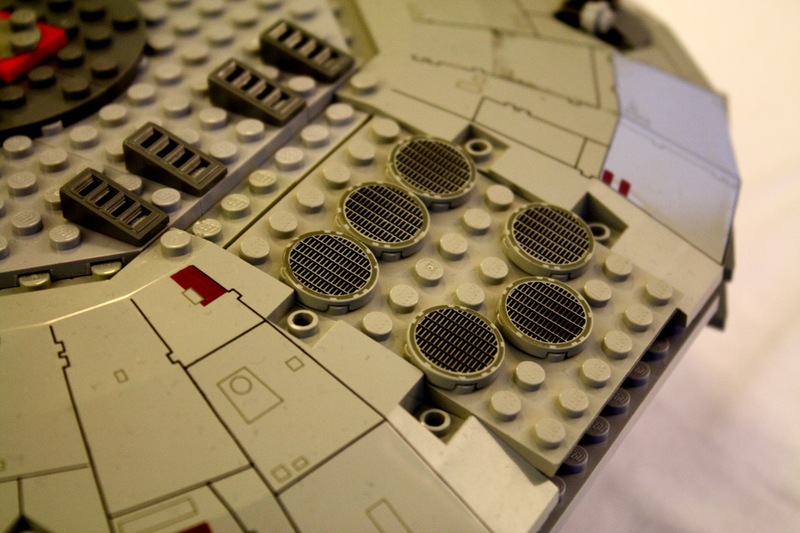 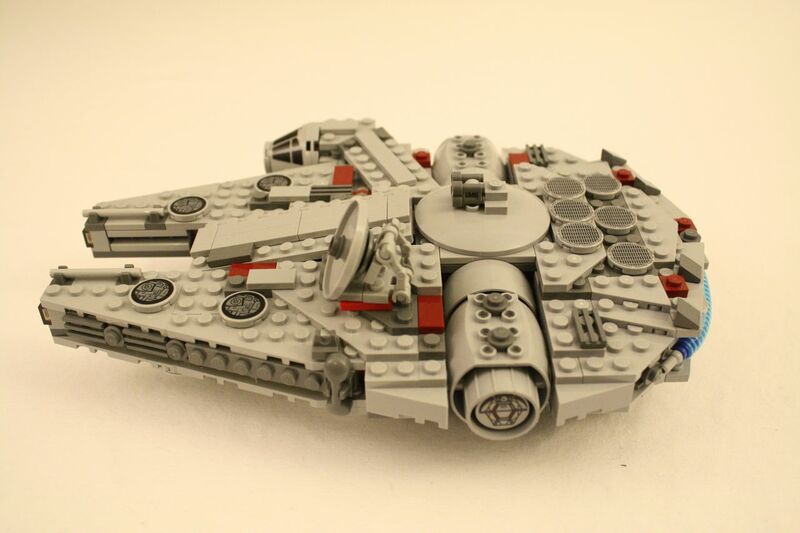 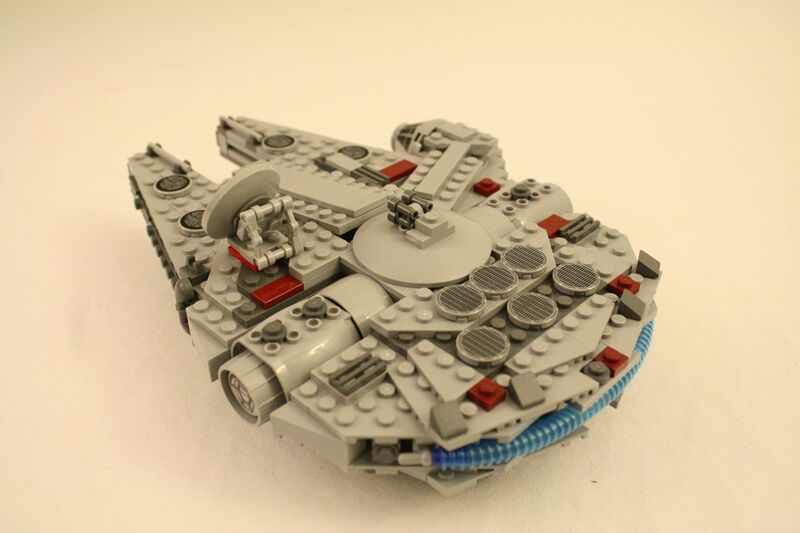 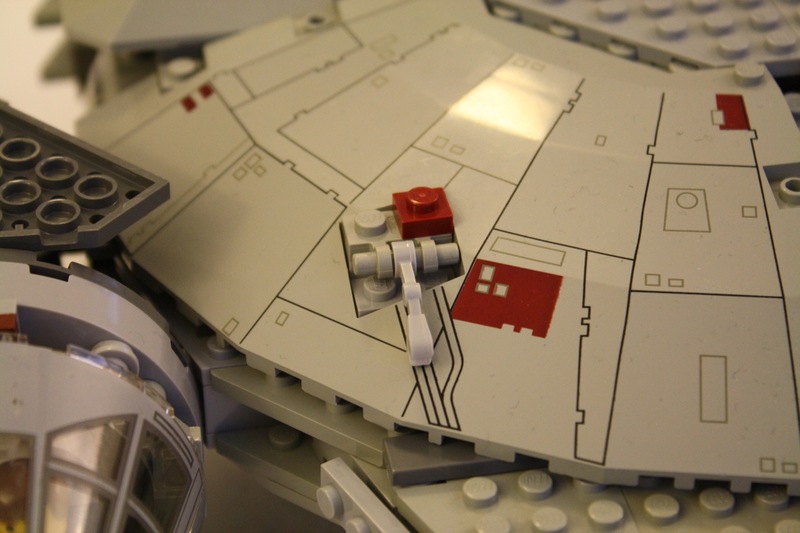 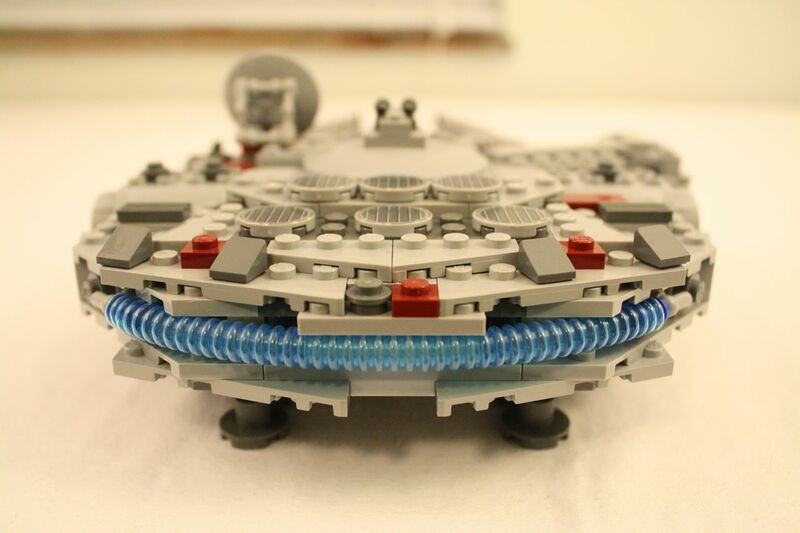 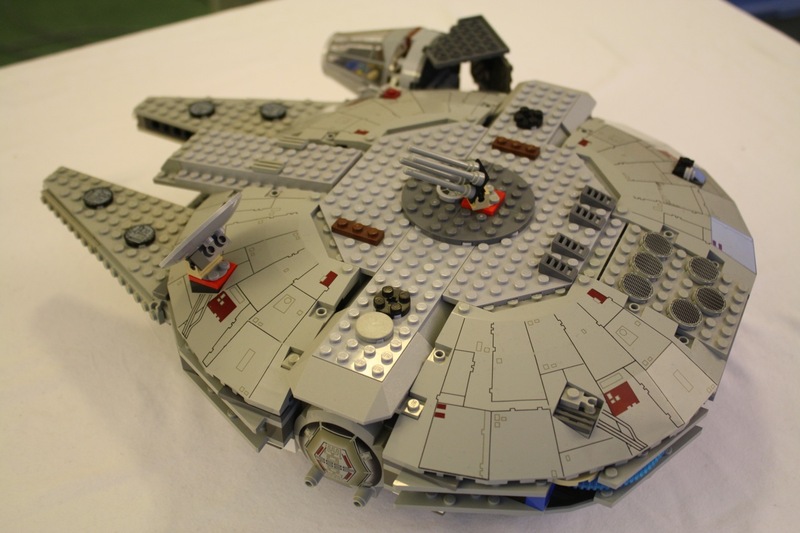 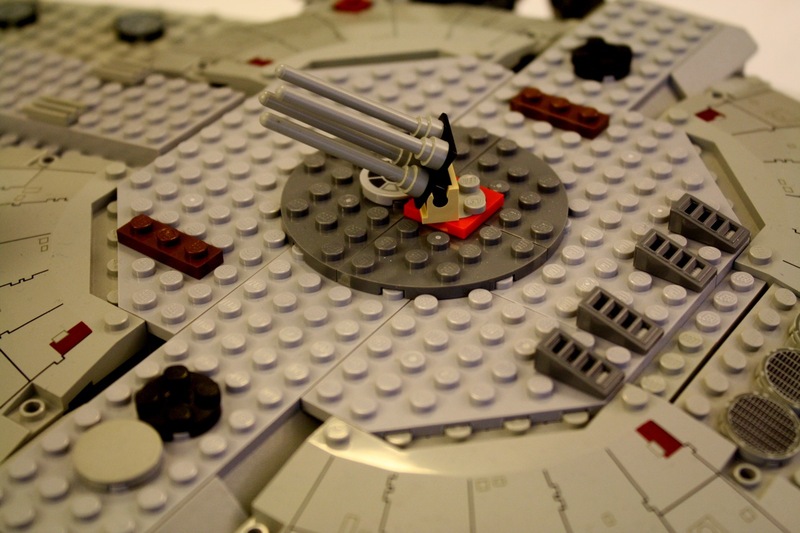 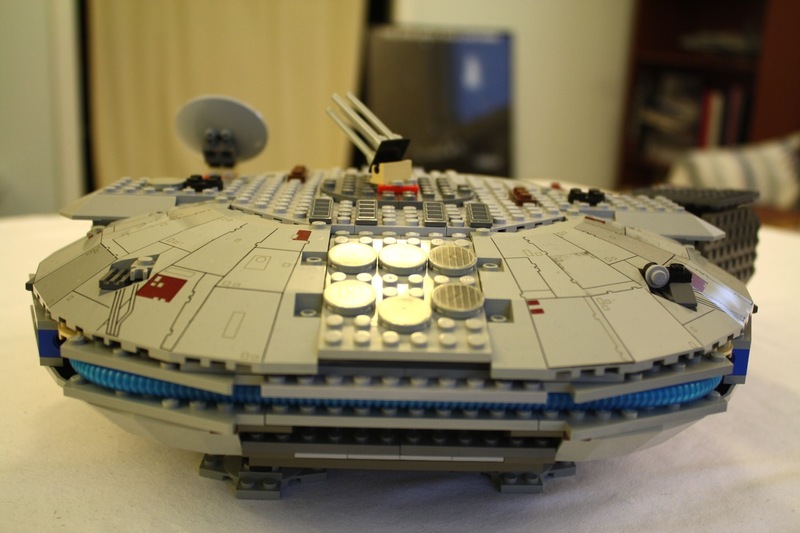 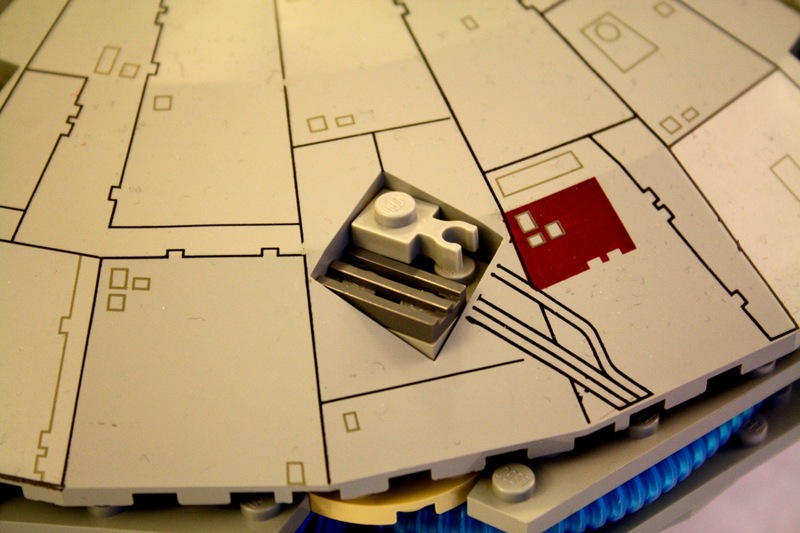 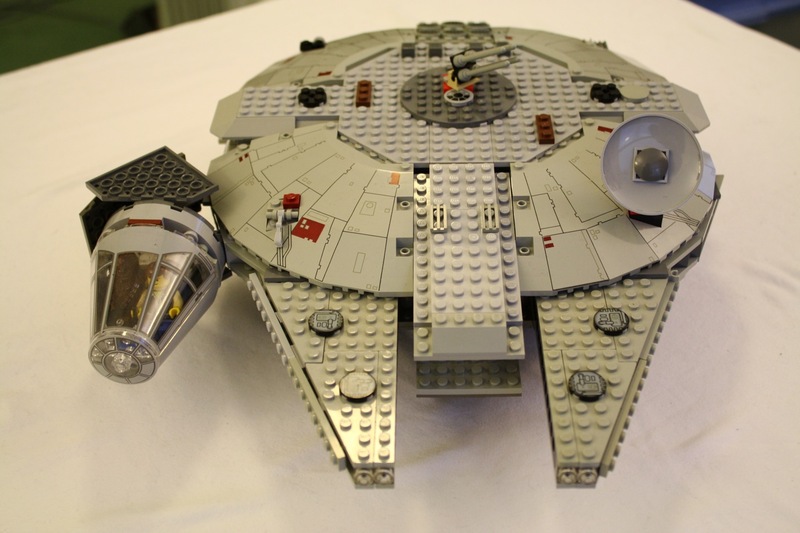 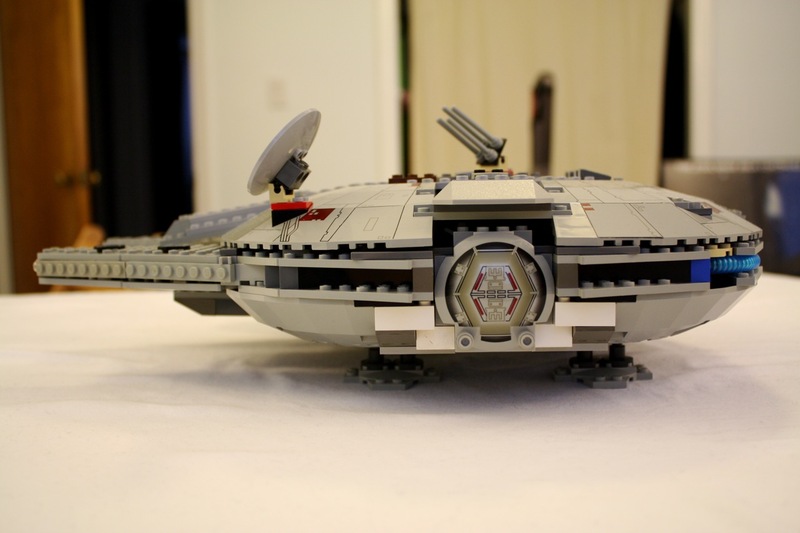 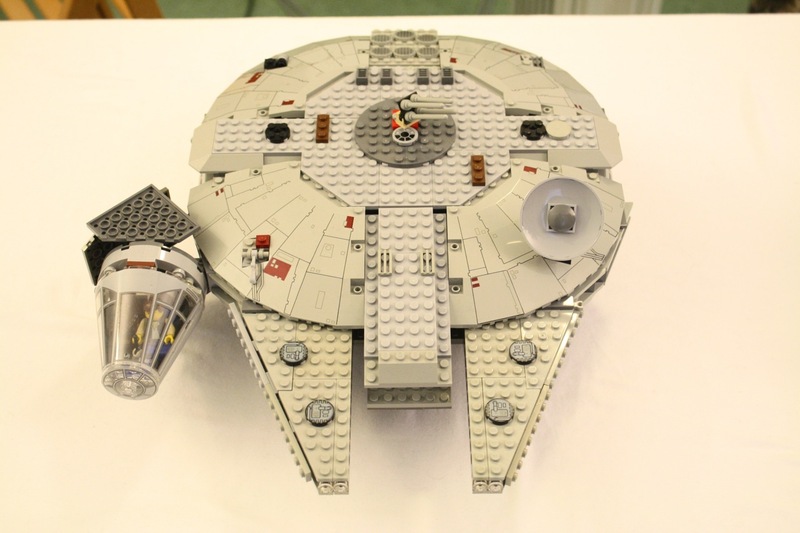 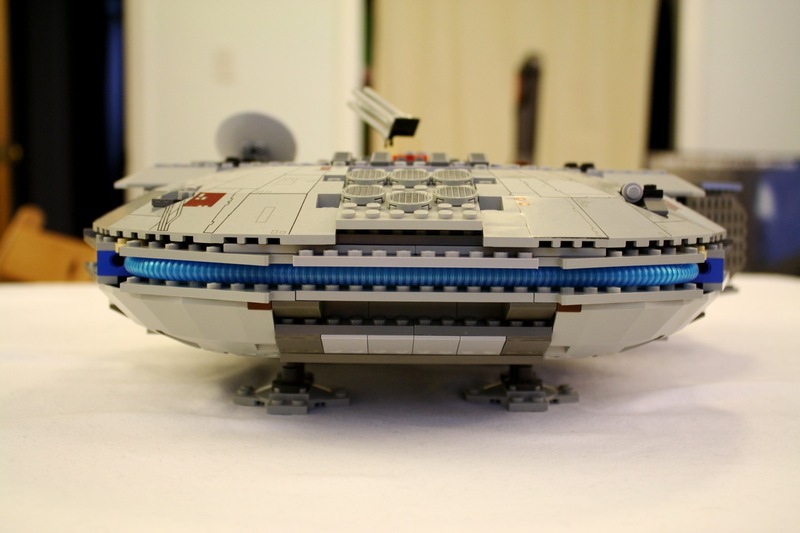 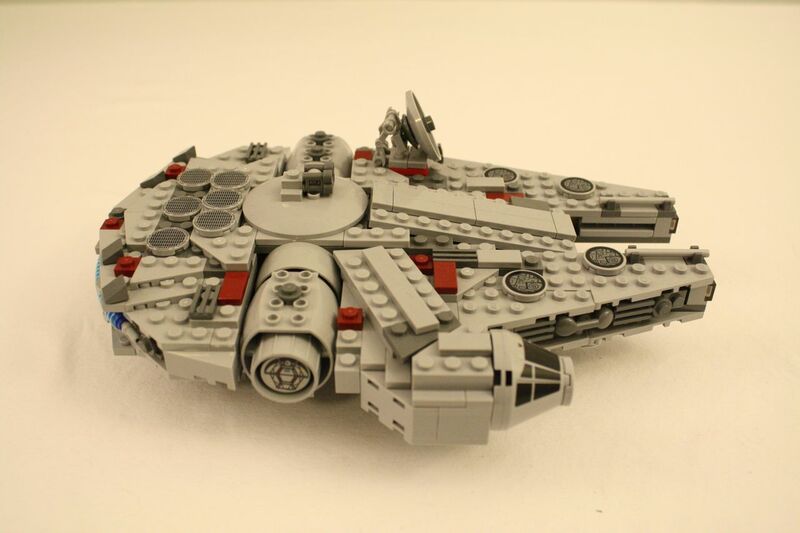 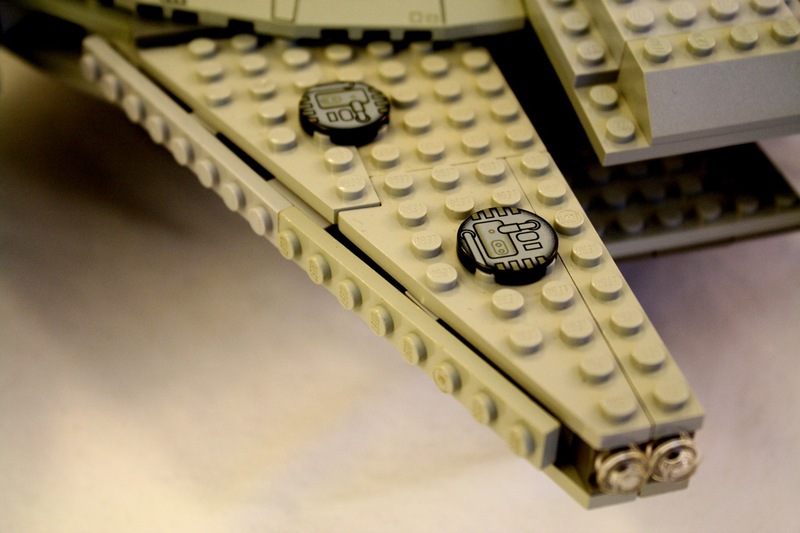 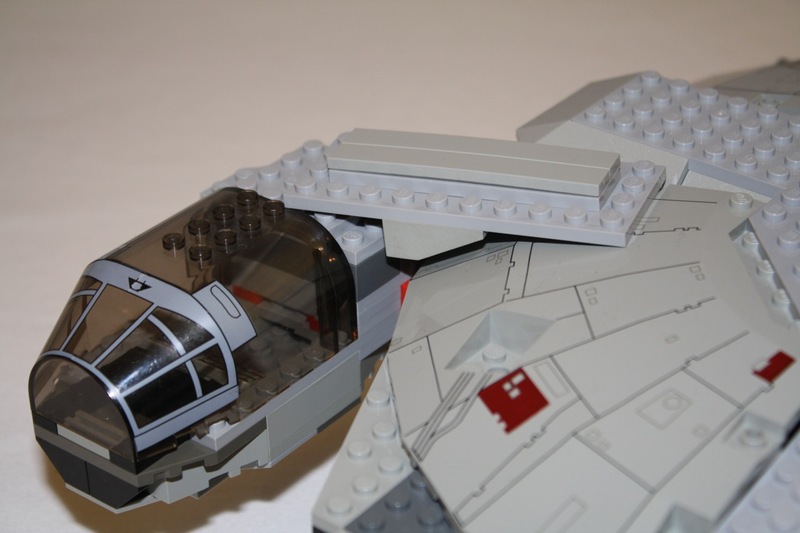 Lego’s newest version of the Millennium Falcon is the truest version yet to what we see in the original Star Wars film. 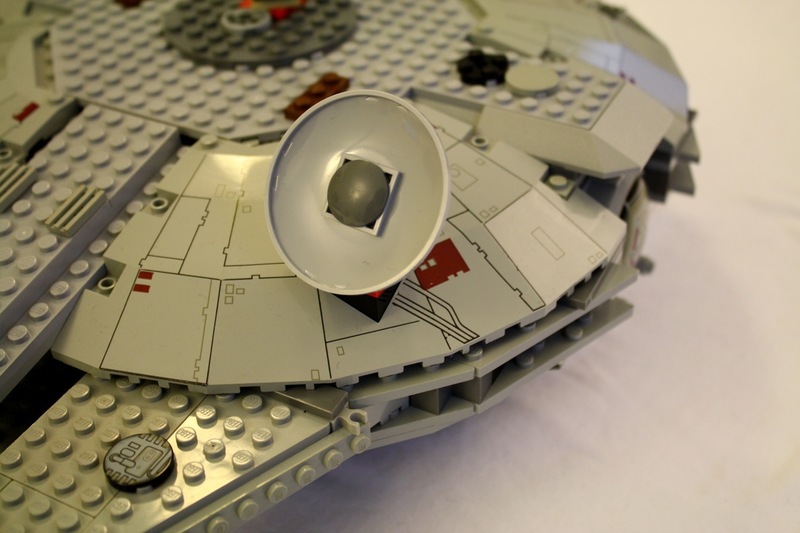 Go here for more views of the Falcon’s interior to see why. 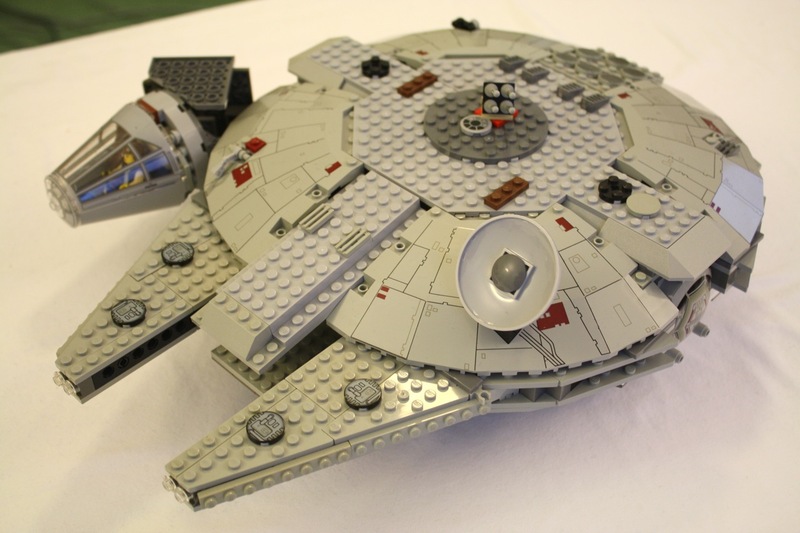 I will have to save my lunch money to get one of these to build! 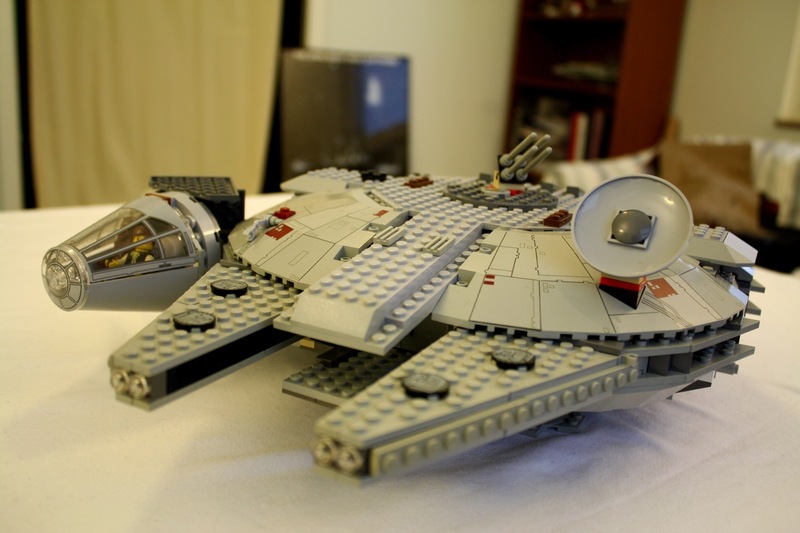 IMG_4544, originally uploaded by dynamicsubspace. 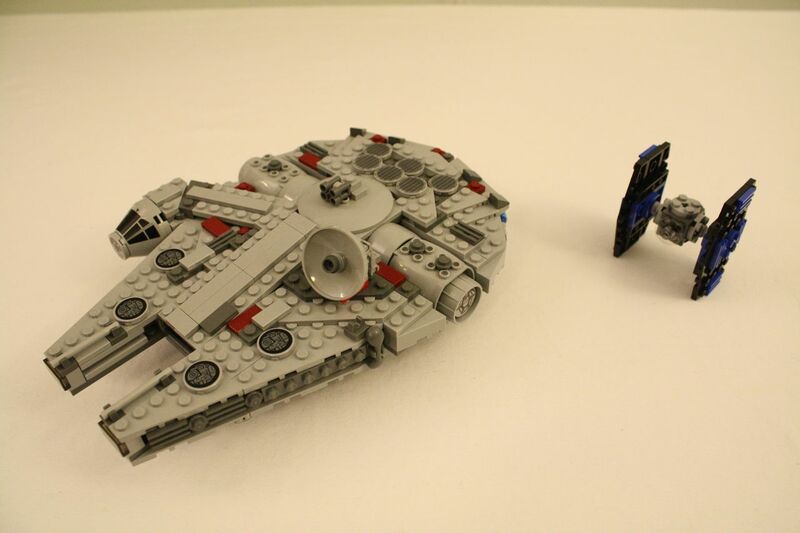 While I was out running errands for a sick Y last night, I thought I would see if Toys R Us had any new Lego sets. 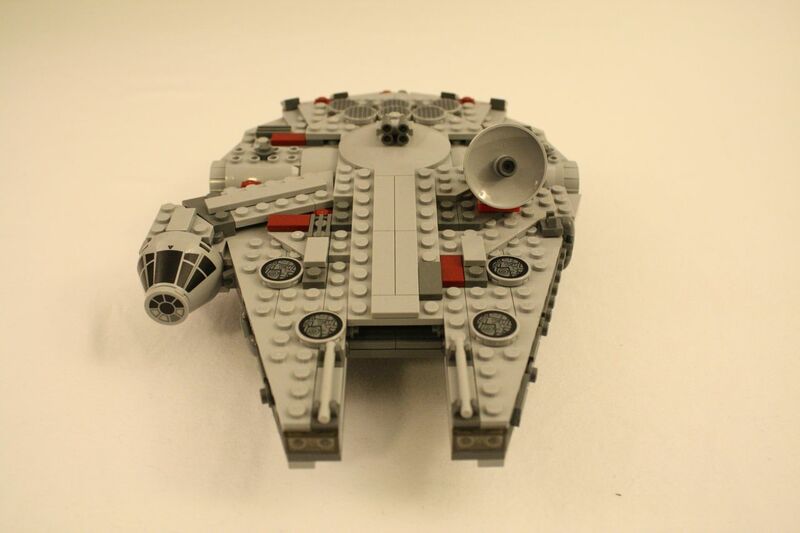 Luckily for Y, Toys R Us apparently put Lego Creator Set 5766 ‘Log Cabin’ on the shelf about a month early (Lego is currently running a Creator reveal and countdown page for 5766 here). 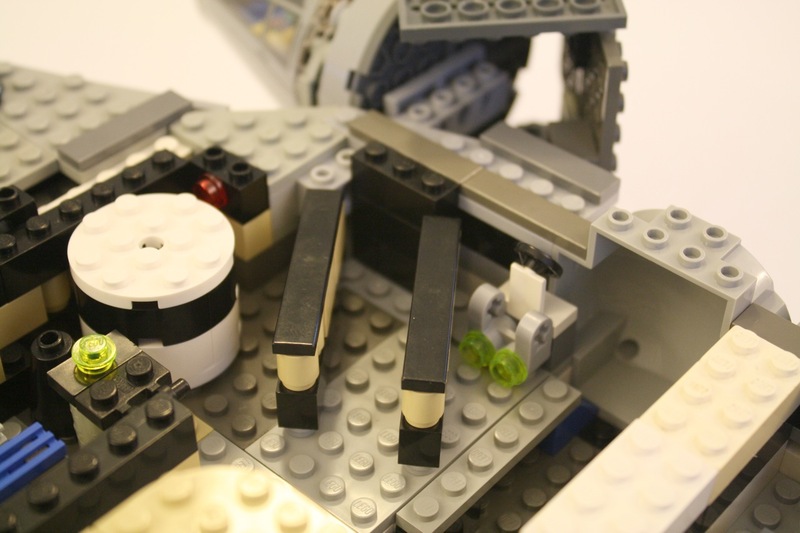 The set includes instructions for a log cabin, a country retreat, and a river hut. 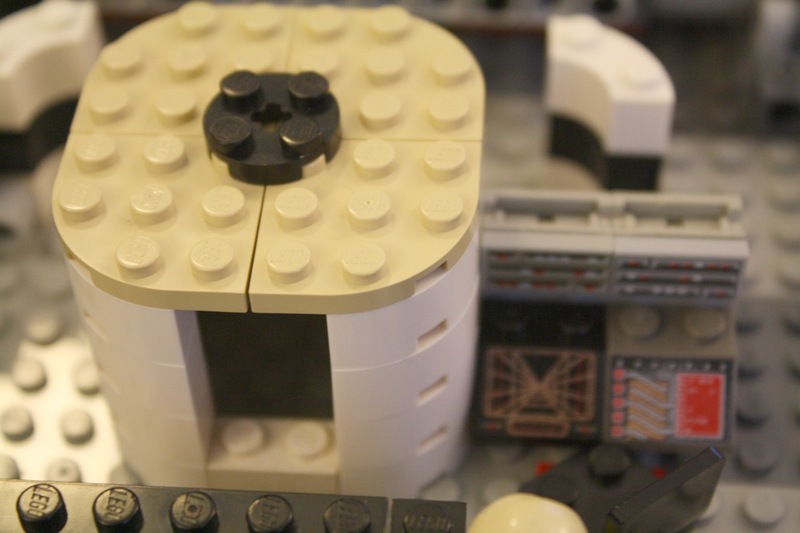 Y likes the arched window design of the country retreat the best. 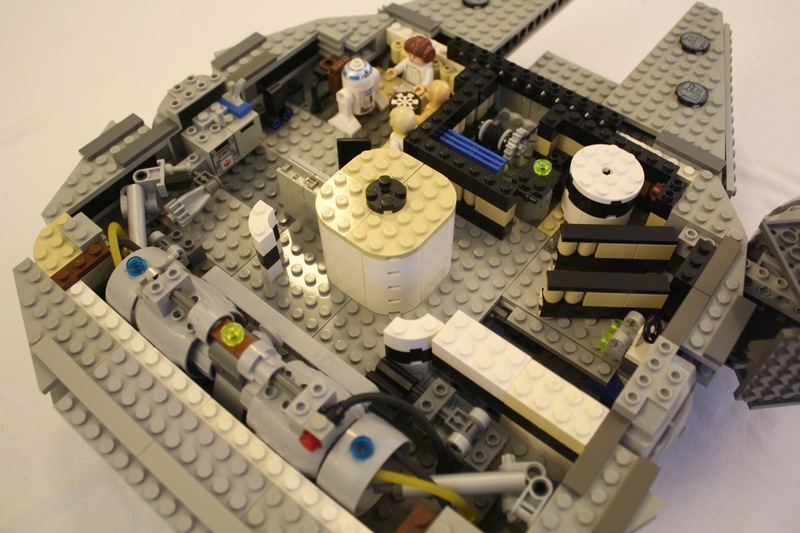 It is a moderately priced set at $29.99 for 355 pieces including one minifigure. 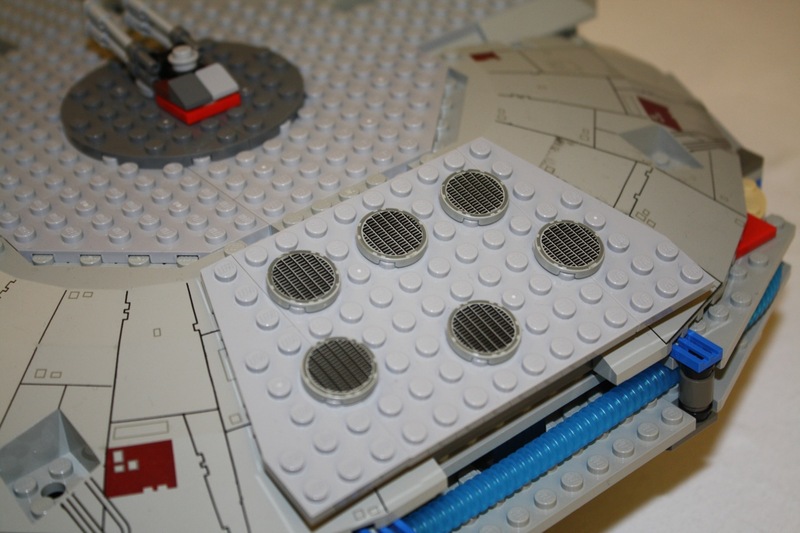 I like how the box is smaller and the pieces appear to fill the space nicely. 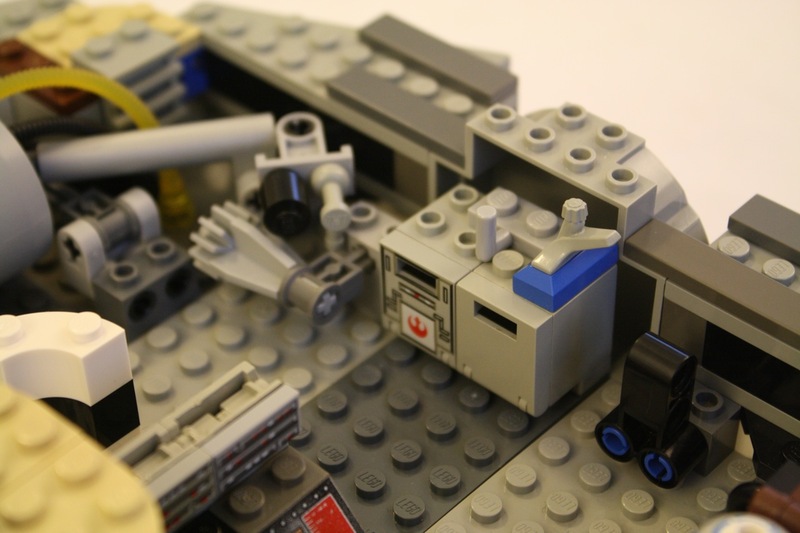 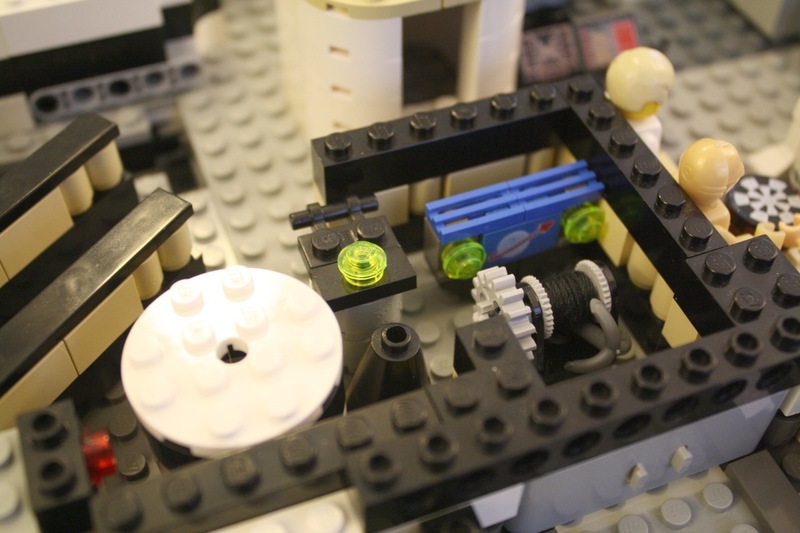 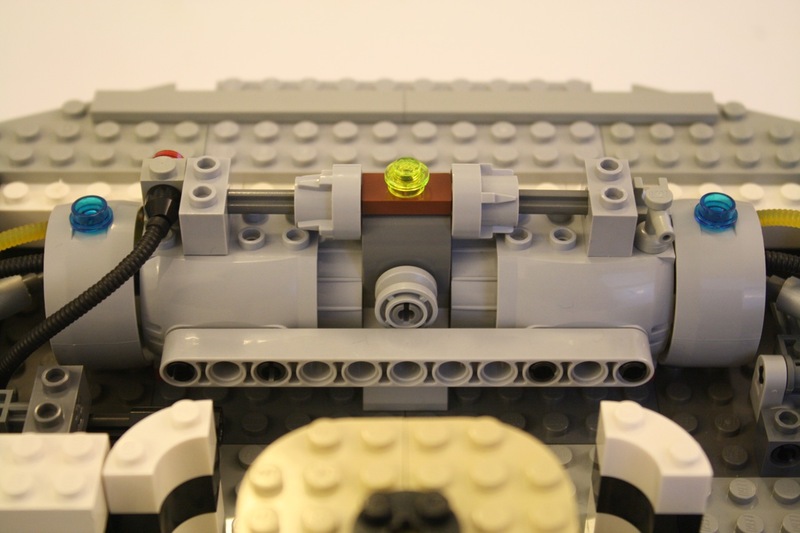 Perhaps Lego is moving toward less packaging for their new sets, which will reduce waste. 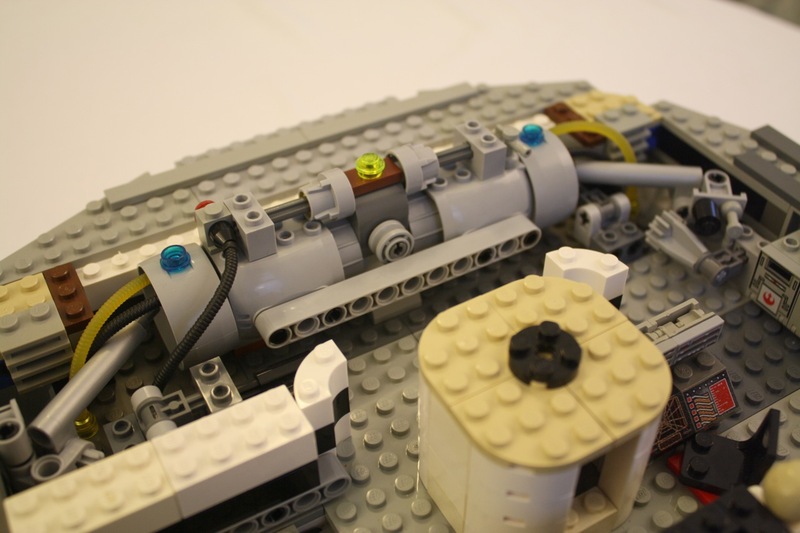 I told Y that she will have to park her favorite Lego vehicle–the street sweeper from City Public Transport 8404–next to the cabin. 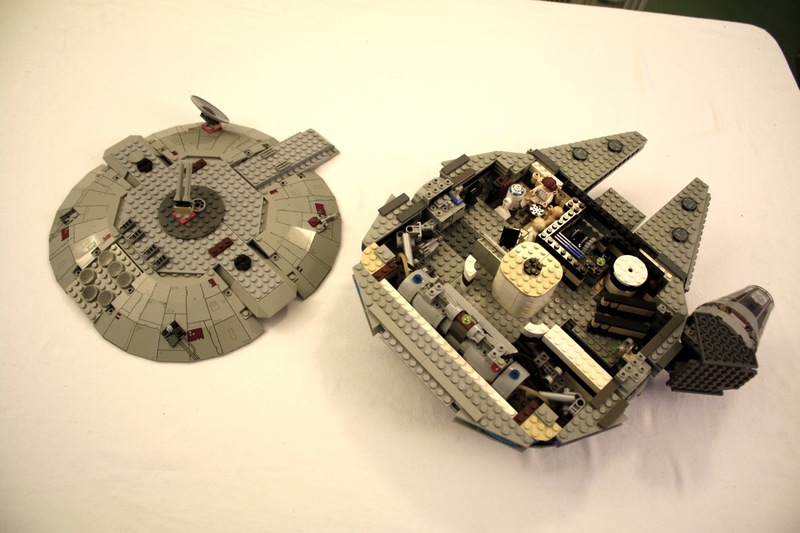 I will land the Millennium Falcon on the other side. 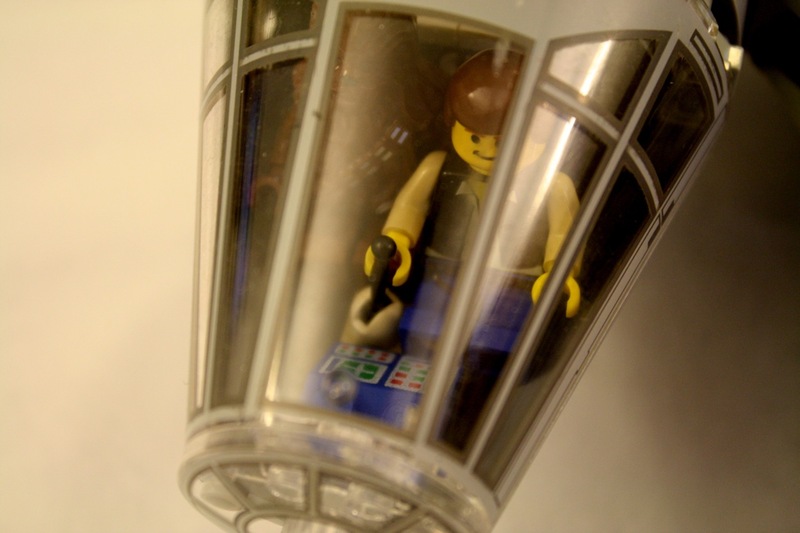 This is a very rough cut of an image that I’ve had in mind to make for awhile, but I thought I would show off this early draft. 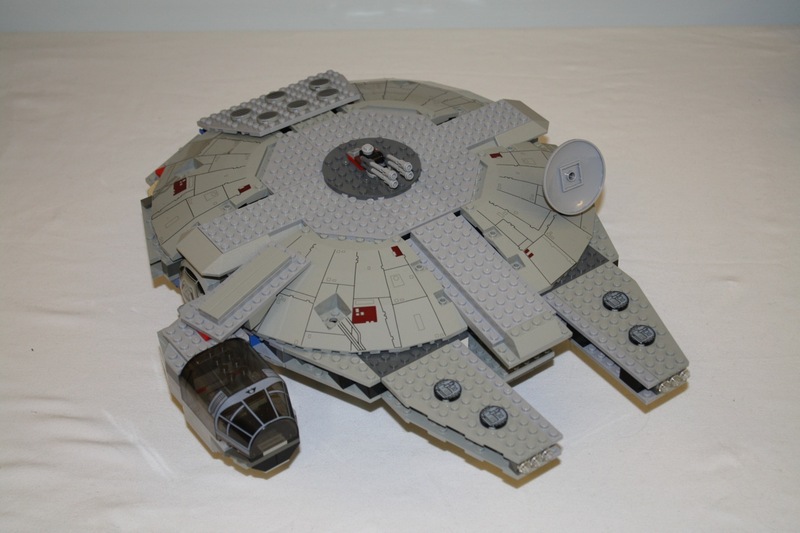 There’s a poster of the Falcon flying into the heart of the second Death Star in ROTJ, so I thought I could recreate it with Lego. 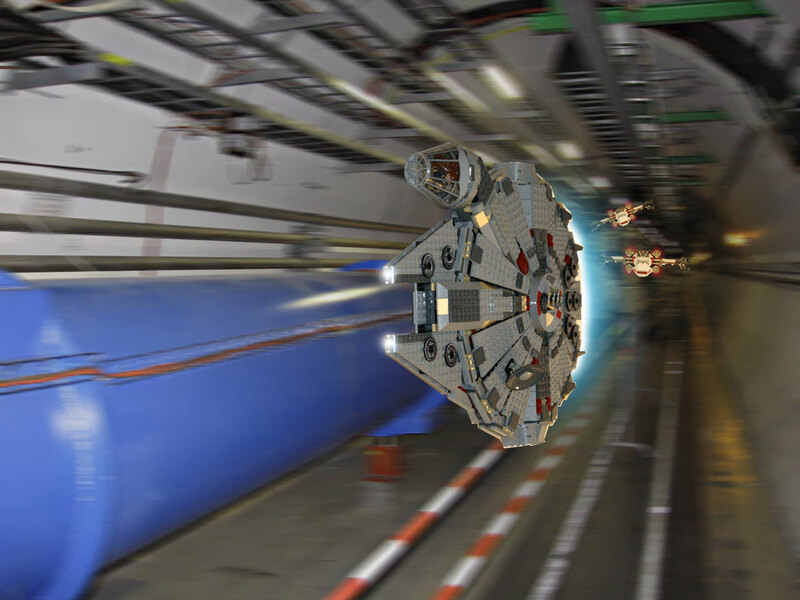 I pulled this image of the LHC tunnel 1 and applied a motion blur. 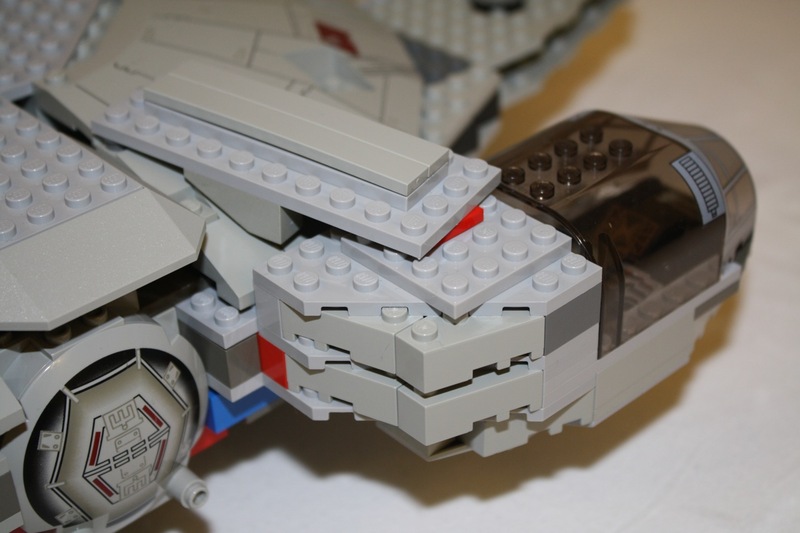 Then, I cut out photos of my 4504 Millennium Falcon and 6212 Luke’s X-Wing Fighter. 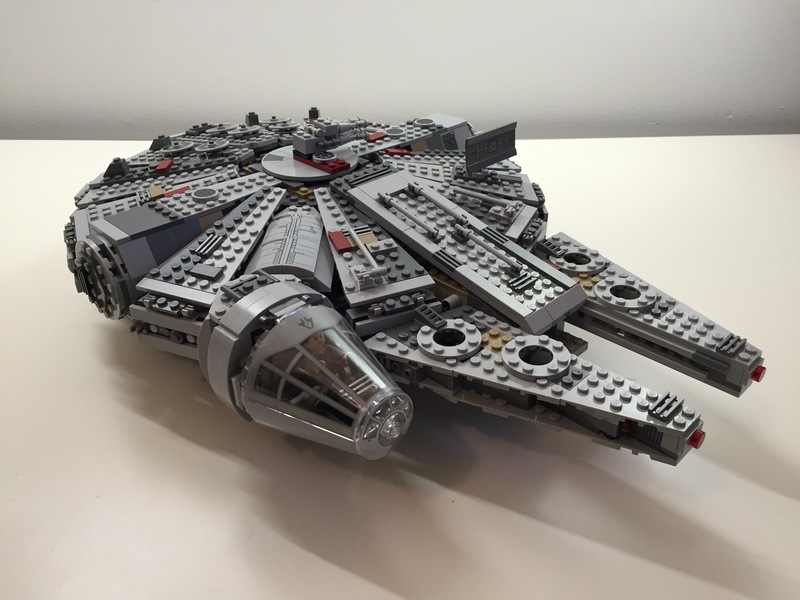 I added engine effects and lights to the front of the Falcon. 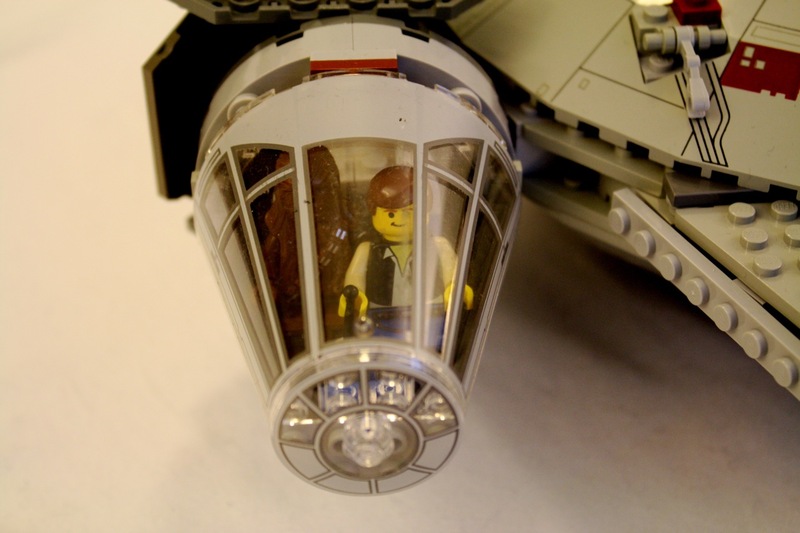 With more time and effort, I believe that I can turn out a very nice composite reproduction of the ROTJ poster. 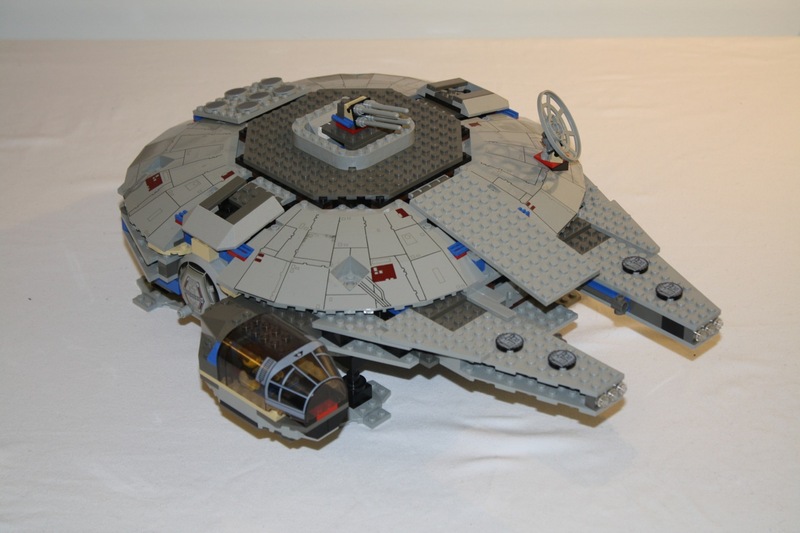 Though, I will need to take a new picture of the Falcon with Billie Dee and Nien Numb at the controls. 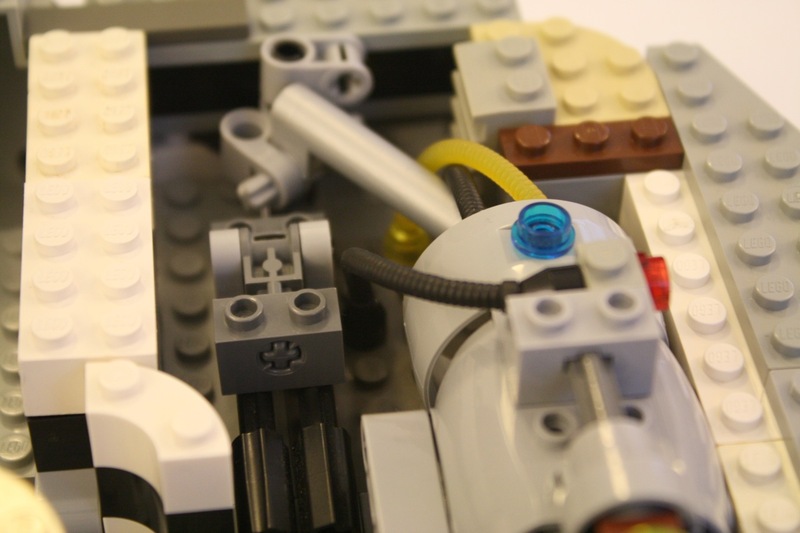 If you know of a better tunnel image with exposed pipes, please mention it in the comments. 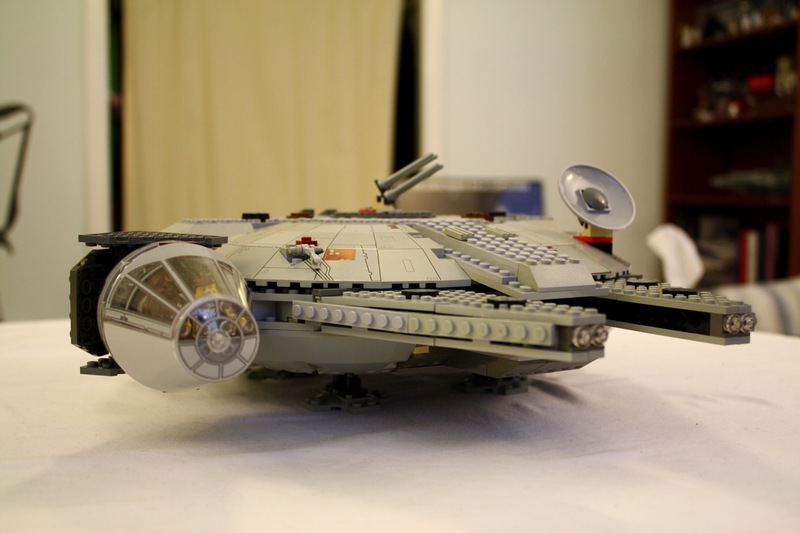 I’ve posted before about the Lego Star Wars Millennium Falcon midi-size model 7778, but I wanted to post again with more pictures just because this set is so dang cool. 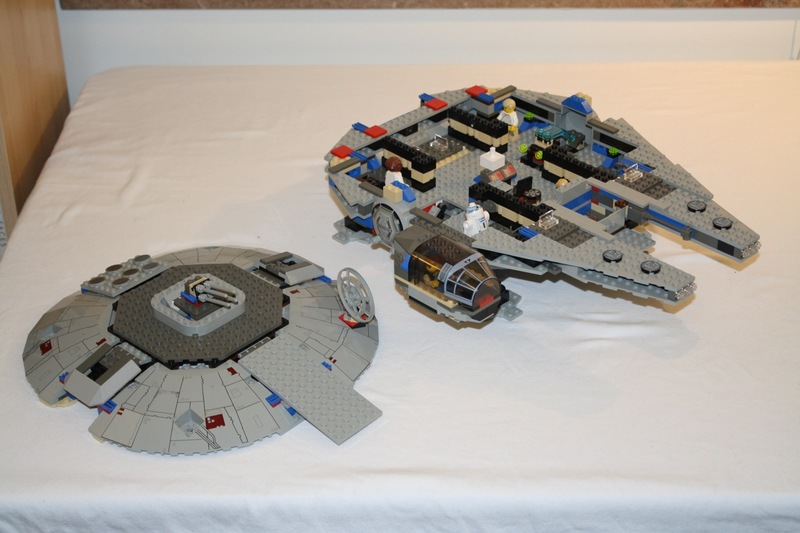 Above, the Falcon is pictured with the mini TIE Fighter 8028, which I think scales very closely to the “midi-size” Falcon. 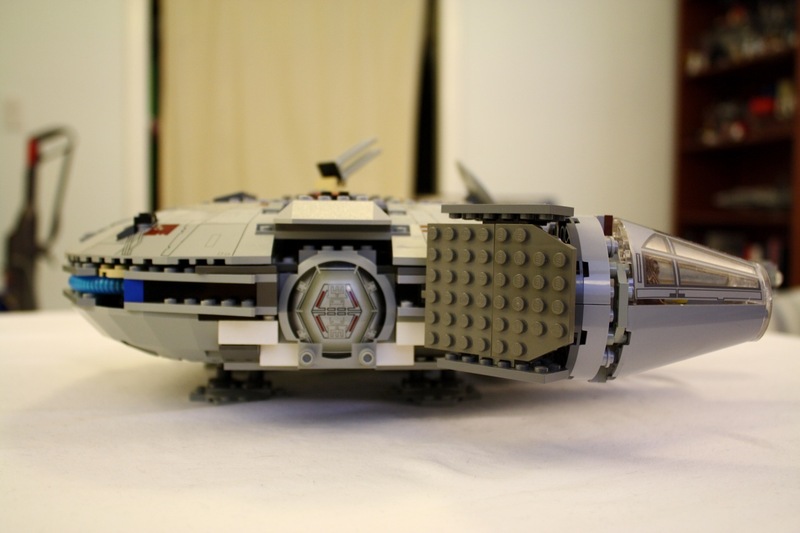 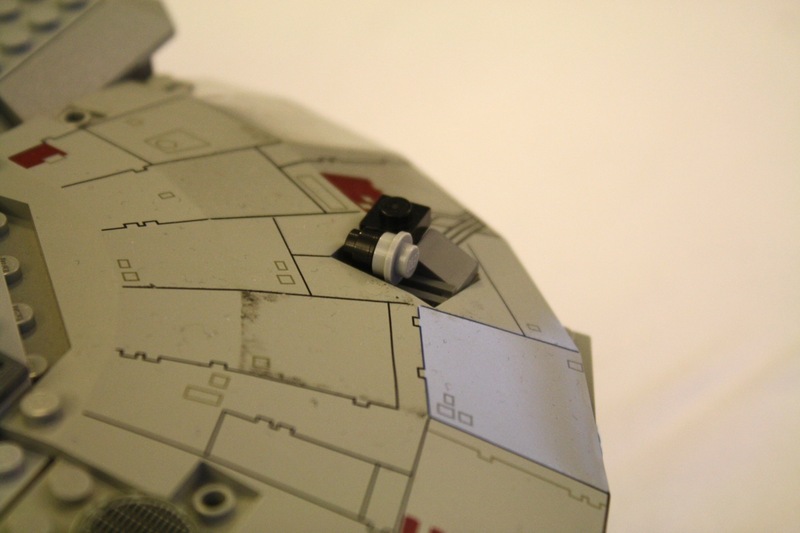 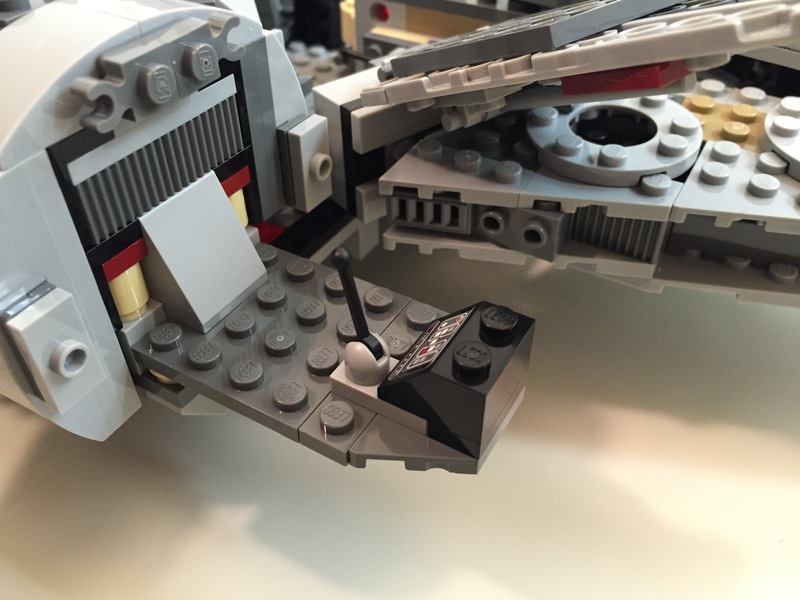 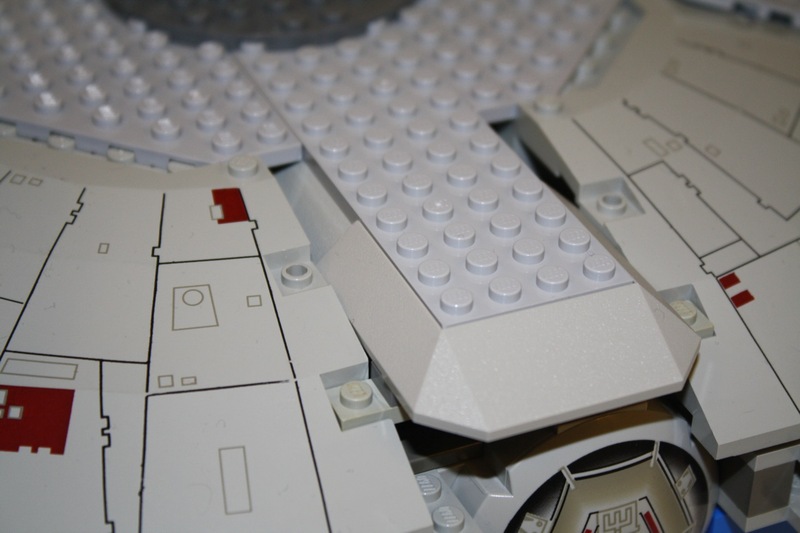 I am currently cannibalizing an extra 7778 set for my refit of the Falcon 7190 set. 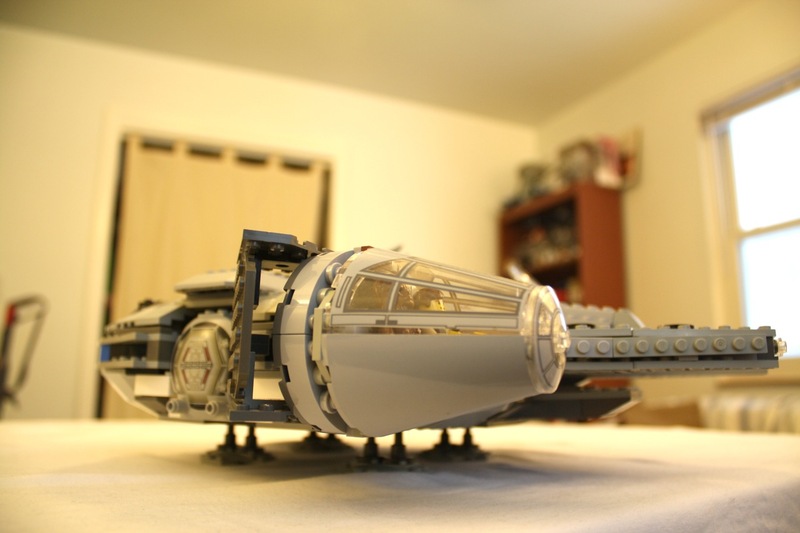 Unfortunately, I have had no time to build with my Legos for over a week due to reading and teaching beginning again. 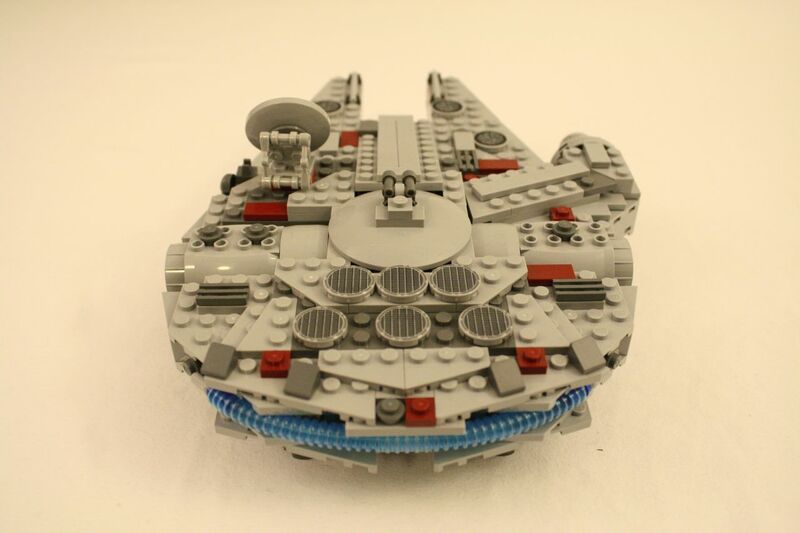 See below for more photos.